Future, not too far away, astronauts will travel for decades, as result their lives will take place in space and their families will grow in space. 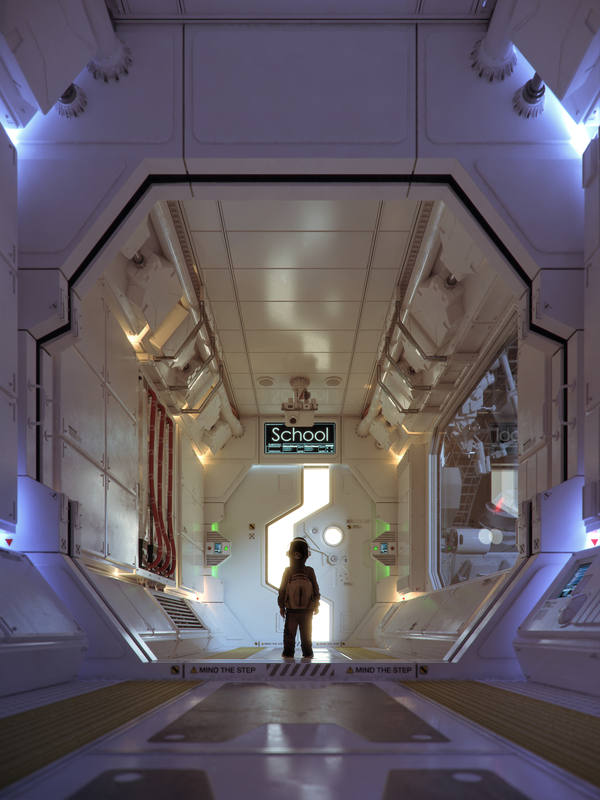 A child raised on a space station is going to face his own great exploration: the first day of school. I wanted to represent the first great emotion that I remember as a child, the feeling of fear and curiosity that I have tried the first day of school.